Dynamic mode decomposition (DMD) is a new diagnostic technique in fluid mechanics which is growing in popularity. 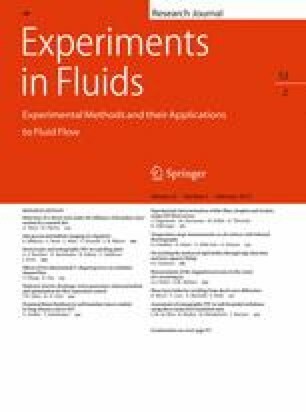 A powerful analysis tool, it has great potential for measuring the spatial and temporal dynamics of coherent structures in experimental fluid flows. To aid interpretation of experimental data, error-bars on the measured growth rates are needed. In this article, we undertake a massively parallel error analysis of the DMD algorithm using synthetic waveforms that are shown to be representative of the canonical instabilities observed in shear flows. We show that the waveform of the instability has a marked impact on the error of the measured growth rate. Sawtooth and square waves may have an order of magnitude larger error than sine waves under the same conditions. We also show that the effects of data quantity and quality are of critical importance in determining the error in the growth or decay rate, and that the effect of the key parametric variables are modulated by the growth rate itself. We further demonstrate methods by which ensemble and orthogonal data may be introduced to improve the noise response. With regard for the important variables, precise measurement of the growth rates of instabilities may be supplemented with an accurately estimated uncertainty. This opens many new possibilities for the measurement of coherent structure in shear flows. The authors wish to thank Mr. Daniel Mitchell for providing the data of Fig. 1a, and Dr. Yoshinori Mizuno for providing the data of Fig. 1b. The authors wish to acknowledge the support of the ARC and the National Computational Infrastructure (NCI) National Facility for providing the cluster computing resources required to undertake the research. The first author would also like to thank Mr. David Singleton and Dr. Margaret Khan of the NCI National Facility for their technical support. The first author was supported by an Australian Postgraduate Award whilst undertaking this research.